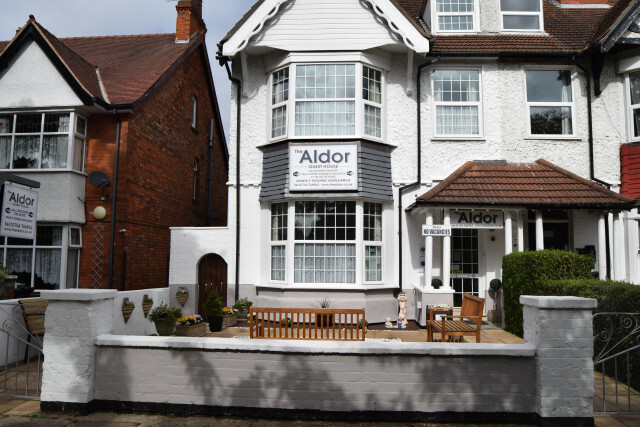 The Aldor is a family run business, offering a warm welcome and comfortable stay. 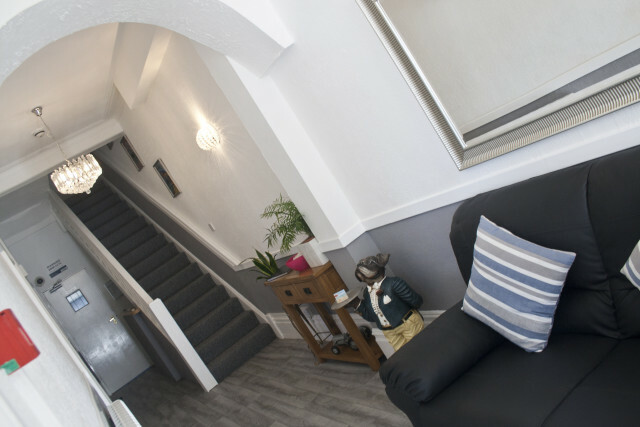 We are situated on a quiet tree lined avenue overlooking St Mathews Church and less than a 5 minute walk to the Pier and all of the attractions of the seafront. The Aldor is less than a 5 minute walk to the centre of town, making us the ideal base for a fun filled holiday by the sea. Enjoy the long summer days in our seating area at the front of the guest house and watch the world go by! Our accommodation comprises of 8 bedrooms, all of which are ensuite. 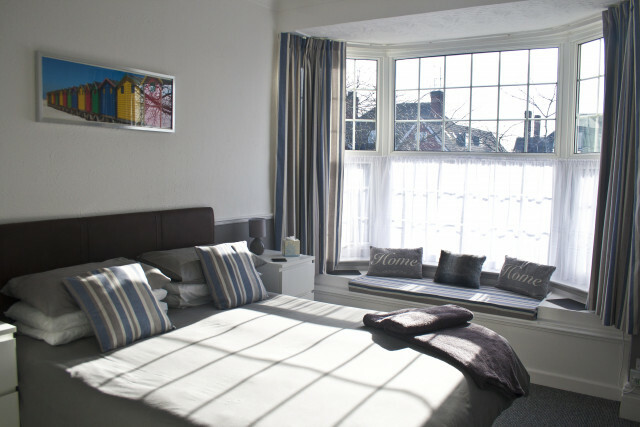 We offer 4 family bedrooms one sleeping up to 6 people, one sleeping up to 4 and two other rooms which sleep up to 3. We have 2 king size bedrooms, a twin/king bedroom and a single bedroom. We have a 4 star rated by Rest Assured, 9.9 from Booking.com and 5 from Trip Advisor. 19 Scarborough Avenue, Skegness, Lincolnshire, PE25 2SZ.